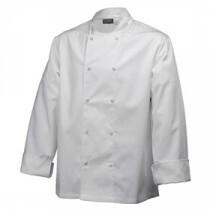 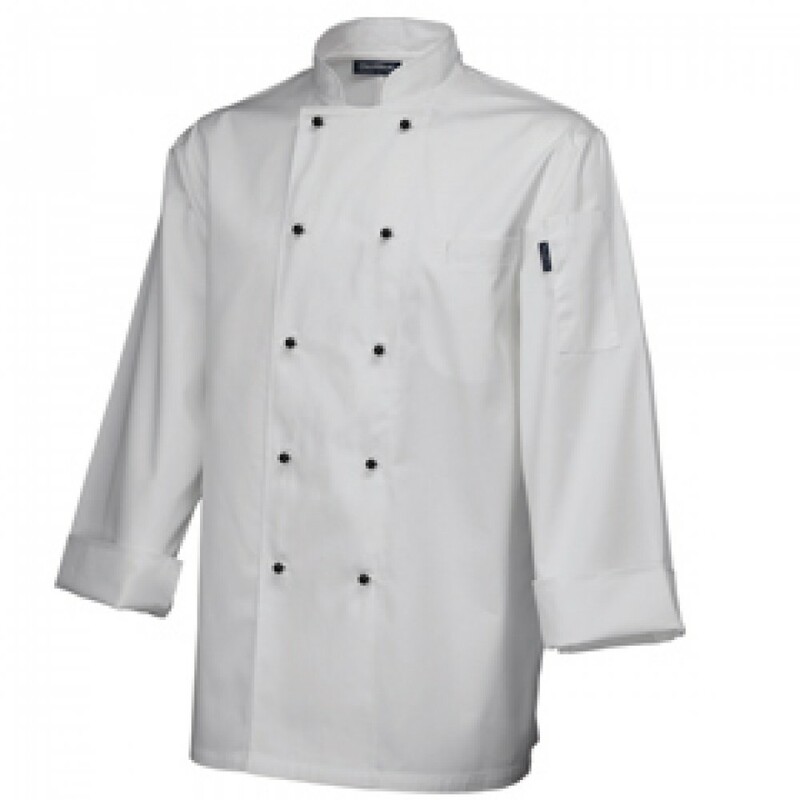 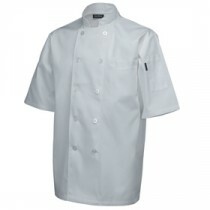 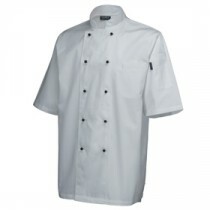 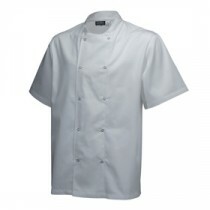 This White Genware Superior Chef Jacket Long Sleeve S 36"-38" comes with replaceable black stud buttons for longer life and a handy sleeve pocket for a thermometer. 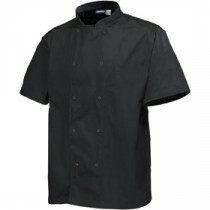 The Superior Jacket provides durability, comfort and style that can cope with the tough kitchen environment. 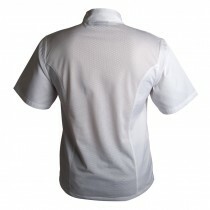 Suitable for commercial laundering.